Let’s look at the four-hour chart. Tenkan-sen line has crossed Kijun-sen from above, forming “Dead Cross” reversal pattern. 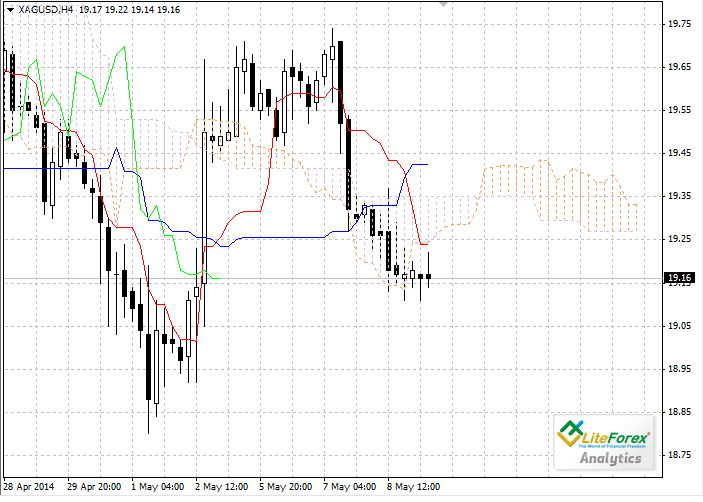 Chinkou Span line has crossed the price chart from above; current cloud is still ascending. The pair has broken down the cloud and slowed down its fall. 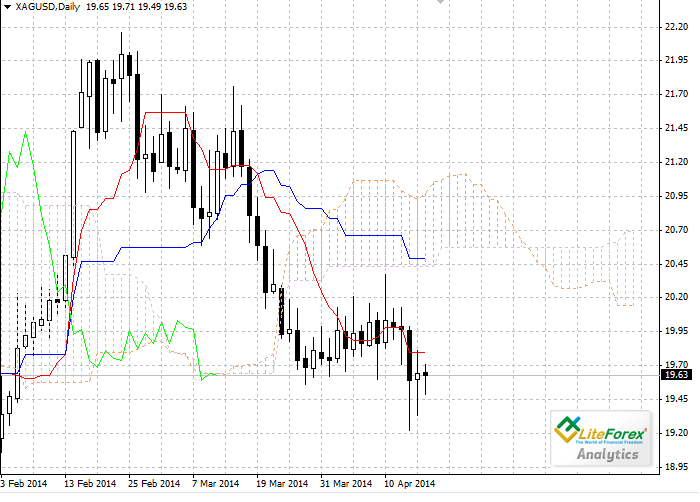 Lower border of the cloud is the closest resistance level at 19.25. One of the previous minimums of Chinkou Span line is expected to be a support level at 18.88. On the daily chart Tenkan-sen line is below Kijun-sen, both lines are horizontal. Chinkou Span line is below the price chart from; current cloud is descending. The pair is being corrected around Tenkan-sen line (19.27). One of the previous minimums of Chinkou Span line is expected to be a support level at 18.48. Both charts confirm the development of the Bearish trend. Short trades can be opened at current price with targets at 18.88 и 18.48.